Born July. 25, 1961, in United States of America. He was The Electric Light Orchestra's bass player in 2001. Matt Bissonette is the brother of drummer Gregg Bissonette. He attended the University of North Texas's jazz music program. According to Guitar 9, an online musicianship magazine, he has played bass and other stringed instruments on at least 22 albums, with music styles ranging from jazz, jazz fusion, progressive metal and instrumental rock. 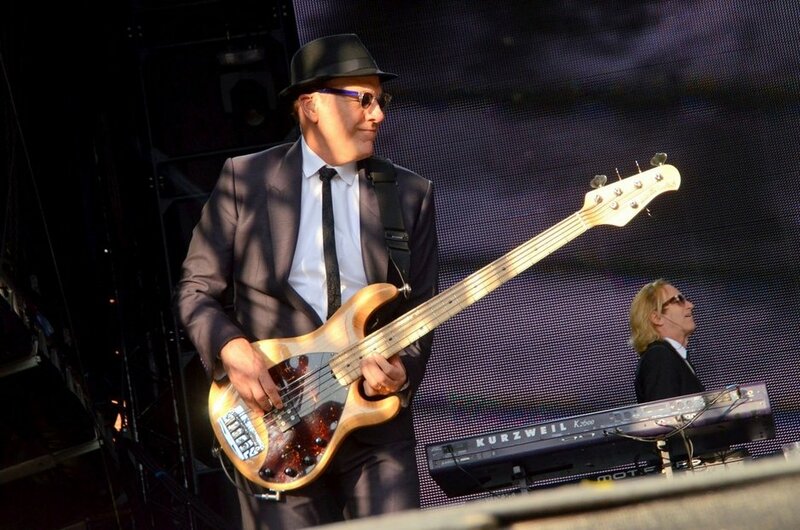 Bissonette has played bass in numerous popular rock bands, alongside legends such as David Lee Roth (1987–92, recording the US platinum A Little Ain't Enough album), Jeff Lynne and ELO on Zoom (2001), Ringo Starr (2003–05), and currently, Elton John (2012–present). In the early- to mid-1980's, Matt Bissonette toured and recorded with jazz trumpeter Maynard Ferguson. For part of his time in the Ferguson band, he played alongside his brother Gregg, which is something the brothers have done several times in their careers. In late 1987, he replaced bass virtuoso Billy Sheehan in the popular David Lee Roth band. Along with guitar innovator Steve Vai, Matt's brother Gregg Bissonette (on drums,) and keyboardist Brett Tuggle, Matt toured the world behind the former Van Halen vocalist's multi-platinum, Billboard #6 album Skyscraper. While on tour with Roth, Bissonette sang the difficult high harmonies made famous in VH classics, such as "Runnin' with the Devil". In 1989, Bissonette relocated to Vancouver with Roth, his brother Gregg, guitar prodigy Jason Becker, and legendary Lou Reed and Alice Cooper guitarist Steve Hunter, to record the platinum, Billboard top 20 album A Little Ain't Enough. Following another major world tour in 1991, which coincided with a major change in popular music tastes, in 1992, the Bissonette brothers left the David Lee Roth band. That year, Matt joined guitar virtuoso Joe Satriani's band. Following Bissonette's five-year stint with Roth, he played with several other legendary songwriters, e.g. Brian Wilson (of The Beach Boys), Don Henley (of The Eagles), Bissonette also played with Julian Lennon, Steve Perry (of Journey), Ty Tabor (of King's X), Peter Frampton, and on Gregg Bissonette's solo album. In 2001 Matt played with Jeff Lynne and Richard Tandy in The Electric Light Orchestra on Zoom. In the new millennium (2003), Bissonette reunited with Gregg Bissonette to back the legendary drummer of The Beatles, Ringo Starr, on a US tour. In 2004, Matt played with genre-bending vocalist Boz Scaggs on Scaggs' Greatest Hits Live CD and DVD. Following his stint with the former Beatle, in 2006, Bissonette became the bass player for Rick Springfield, while singing in his own band the Squirts. Springfield and Bissonette collaborated on Springfield's Venus in Overdrive, which Bissonette co-produced. That same year, he is notable for playing bass with trailer rock musical band Globus on their album Epicon. Bissonette is currently the bass player for Elton John, replacing the late Bob Birch. 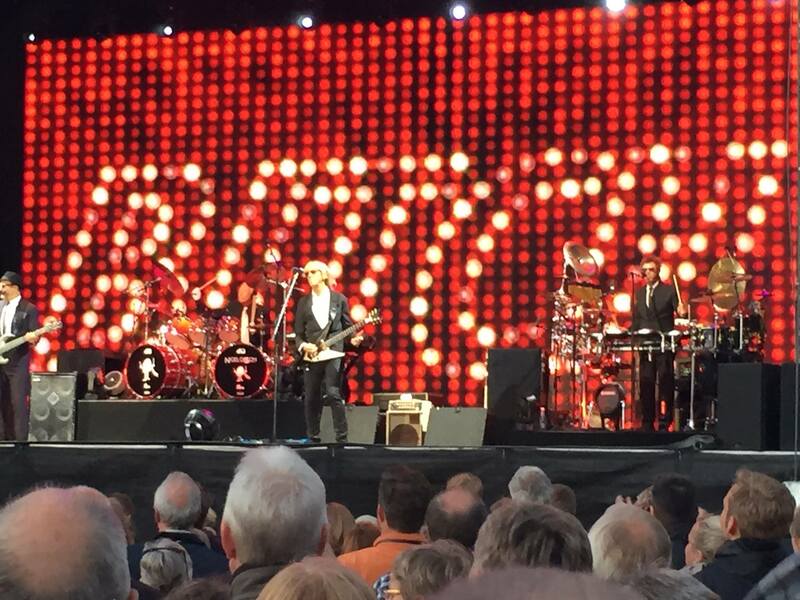 Elton John, Open Air concert i Vejle, Denmark 23-06-2015, the sun was shining, 5.500 audience and the band was great. He has also played the themes to the television shows Friends, Just Shoot Me! and The Tracey Ullman Show. Matt Bissonette now lives in Orange County, Los Angeles with his wife and two children. Webmaster: Ken Stavensoe Nielsen, 30-09-2017.